Let’s Make Your Tour Cheaper! A Journey To The Center Of The World. Extraordinary Experiences, Designed Just For You! Great Tibet Tour has a team of Tibet travel experts with the majority being local born Tibetans who handpick the best things to do in destinations around Tibet. 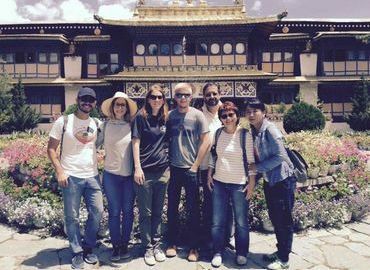 Ever since 2005, we've designed and operated tours in Tibet from standard Lhasa City Tours to the adventurous Tibet Trekking Tours. To ensure the tours you book on Great Tibet Tour deliver the type of experience we know you want to have – a once in a lifetime experience – we've sought out the most reputable and reliable local guides, hotels, restaurants, and transportation companies throughout Tibet. This comprehensive insider access, possessed only by locals, we live here, we know Tibet. Read more. As the leading local Tibet tour operator based in Lhasa officially licensed by the government, we design journeys of comfort and authenticity to the most amazing destinations in this highland since 2005. To meet tourists’ satisfaction, we always focus on the customized Private Tours and classical Small Group Tours. 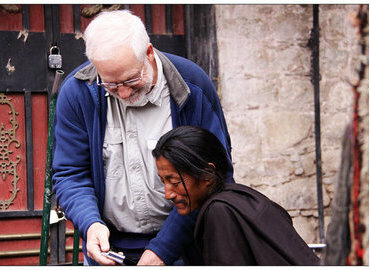 Every year, more than 2,000 clients have traveled with us and enjoyed the magic and mystery of this holy land. 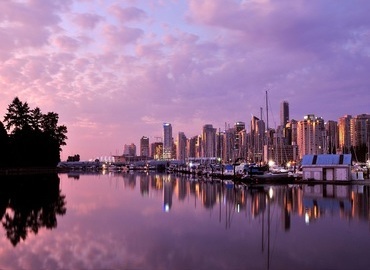 The following our top deals are just from the choices by the excellent feedback from our travelers. Just contact us and travel to the third pole of the world without going around in circles. 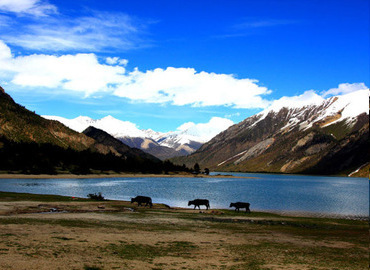 The thematic tibet tour packages offer you a chance to see and explore Tibet more. Without a doubt, the unique culture and landscape make Tibet as desired nature photography destinations. For adventure activities, biking and trekking are very popular. If you want to experience exotic culture and festival tour, you will get satisfied with the thematic tibet tour packages below. The journey to Everest base camp is more than a trek! It's for travelers who love culture and Himalaya sightseeing. Once-in-a-lifetime pilgrimage journey to the holy Mt. Kailash and Lake Manasarovar, which will satisfy spiritual, cultural and religious desire in the magic land. Tibet train tours get across the Qinghai-Tibet Plateau, you will enjoy the impressive scenery along the railway. Explore Buddhism in Nepal and Tibet and have a transnational Himalayan culture experience. A journey to feel thousands of years' precipitation and uncover the mysteries of the roof of the world. Check different trekking packages and find a way to experience a memorable adventure. Cherry, we're back in Shanghai now. The airline allowed us to change the date of our flight without charging us a fee. Honore and I were very disappointed that we could not go on the rest of the trip. She was suffering from altitude sickness and could not really go to any higher altitude. Thank you and Hank for your understanding and help. Honore is feeling much better now that she's back down to sea level. Already had a rough idea but want to make everything clear before traveling to Tibet? You come to the right place! We selected the following useful tour advice for Tibet travel based on our experience. How to get to Tibet? What to expect in Tibet? When is the best time to visit Tibet? After reading those posts, You will know them all and understand this wonderland more deeply. What we want is to make your Tibet tour smooth and comfortable, and bring you an emotional luxury trip you will never forget. Maps of Tibet shows the location of Tibet on the world, Asia, and China. What's more, you can clearly get the information of Tibet attractions, terrain, routes from these maps. Tibet receives a considerable number of tourists every year for its fantastic sites. Below are top things to do in Tibet including the Potala Palace, Jokhang Temple, Mount Everest, Mount Kailash, Namtso Lake, etc. For foreigners planning a Tibet tour, there're 3 things you may need to know in advance, such as booking your tour, applying for your Tibet Travel Permit/Tibet Visa, and choosing the best time to visit Tibet. For Indian travelers going to Mt. Kailash and Lake Manasarovar, you will be treated as pilgrims. Only Foreign Affairs Office of TAR and Pilgrim Center can arrange your tour. We also list the transportation ways for Indian travelers to Tibet. 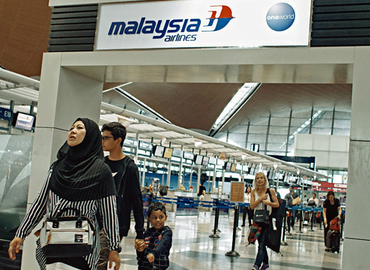 Tibet is a holy land in West Asia, while Malaysia is a federal constitutional monarchy in Southeast Asia. We offer various tour packages to Tibet from Malaysia, which will give travelers forgettable travel experience. 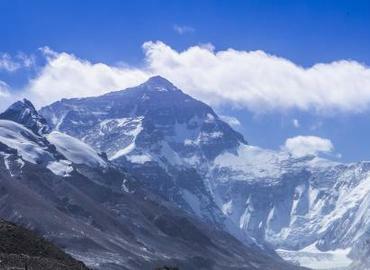 The Internet spread "Everest scenic area permanently closed". According to official confirmation, the news is not true. And, the rumor that there is a lot of rubbish on the north slope is very absurd. 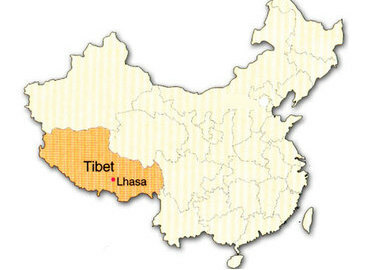 There are many cities in China have train to Lhasa, Tibet. If time, schedule, and budget allow, we would recommend you to take train from Xining to Lhasa. Xining is the real starting point of Qinghai-Tibet Railway, all highland views starts from here. All sections before Xining are not highland area. How to Tip Guide & Driver in Tibet? Tipping in Tibet is not mandatory, however if you go on a long trip out to EBC, western or eastern Tibet, your guide and driver will be expected a tip at the end of the trip, assuming all went well, and a satisfactory service is provided. If you travel to Tibet alone, what should you put into consideration? We have made a full list for solo travelers, such as how to choose your travel agency, how to get the document, how to keep cost down, as well as other useful tips. If you are Canada citizen, planning a trip to Tibet should be put into your schedule. Canada has an association with Tibet in cultures and history. 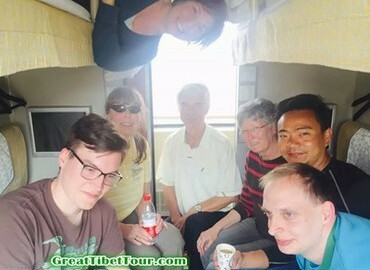 Currently there're multiple ways to travel to Tibet from Canada. Generally, the appropriate time to visit Tibet is from May to June and from September to October. A lot will depend on the destinations and the local weather. It's recommended to avoid the major Chinese holidays due to the traffic jam unless you want to join in the Tibet festival events. What would recommend for the first-time Tibet trip? Explore Tibetan Monasteries: Jokhang Temple, etc. Enjoy Tibetan Festivals: Shoton Festival, Saga Dawa, etc. How long should you stay in Tibet? Taking a train to Tibet to view the unique scenery of the Qinghai-Tibet Plateau.